How Do You Limit Your Environmental Impact at Christmas? If there’s one problem with Christmastime, it’s the consumer feeding frenzy that happens every year. So much waste, and it’s hard to not get into it at least a little bit. Most families have a lot of Christmas traditions that are difficult to change and too much fun to easily opt out of. How can you adapt your habits at Christmastime to limit the impact you put on the environment? 1. Talk it over with family. Have a discussion with your family about changes you’d like to make and why. Try to make handmade, reused and Fair Trade gifts more acceptable. My kids are getting a stack of books from our local $1 bookstore this year. They’re all used books, but in good condition. For about the price of one or two new books for each, they’re getting a bunch of books. I call that a good deal. Trees and seeds are good gifts for those who enjoy gardening. Find out what they’d like to grow and which varieties grow well in their area. A good fruit tree is a gift that will keep on giving for years. 2. Limit spending on gifts. There are a few ways to go about this. You can set a price limit and still all shop for the same people, or you can draw names and pool the total value given in gifts per person. Between my sisters and I, we have an agreement on how much each of us contributes toward gifts. It’s approximate, as no money actually changes hands. Instead, names are drawn and gift values assigned to each name. Each person shops for the people they drew. This cuts down a lot on shopping time and on the buying of obnoxious knickknacks. You can find out what the person actually wants, and it might be in the budget. This one drives some people nuts, but it’s why I don’t like to use wrapping paper. Gift bags are very reusable if you treat them well. I keep quite a stash of them for whenever I need to give a gift. Alternatively, use a reusable shopping bag as a gift bag. Make it a part of the gift. 4. Go easy on the lights. Holiday light displays are beautiful, there’s no doubt about it. We’re planning a walk around our neighborhood soon to see all the holiday lights on display – my youngest just about plasters herself to the windows at night when she notices all the pretty lights outside right now. The only problem with holiday light displays is how much energy they use. It adds a lot to your power bill, and most power generation isn’t exactly clean. Then light strands break down over time and have to be replaced. That part isn’t so pretty. If you’re going to have holiday lights, go for LED whenever you can. They use less power, and they’ve been improving over the past few years. You should also put your lights on a time, both outside and on your Christmas tree inside, so that they don’t stay on all night long. They don’t really need to look so pretty when no one is going to see them, right? 5. Think your travel through. The holiday season is a time to visit and enjoy being with family. If you live away from your extended family, it’s common to take a trip and go visit. Kind of a pity about the pollution created. Choosing the most effective and environmentally friendly form of transportation is a balancing act. A big part is how far you have to go. If you’re only a couple hours away, a car may be your one option. If you’re cross country, you may not be able to afford the time a car or train takes to cover that distance. There are options to traveling. You can talk on the phone, of course. If both sides have a webcam , you can talk that way. Not as much fun as being together in person, but it’s kinder to the environment and the budget. 6. Think about the food. Holiday food, oh, the holiday food! It’s no wonder many people gain weight over the holidays. There’s too much good food available this time of year at the various parties and other events you may attend. For your own health, overeating is a bad idea, although the occasional indulgence isn’t that terrible for your health at all. When you’re preparing food, think about where it comes from. You may not be able to get much fresh, local produce this time of year, depending on where you live, unless it was grown in a greenhouse. You can try to get organic produce. You can get free range turkey or other meats that have been treated better than the usual factory farmed stuff. Sweet treats are the big challenge. Look for bakeries that use healthier ingredients and avoid HFCS you can buy Fair Trade candies , or you can make desserts and other treats yourself. Balancing deliciously decadent with environmentally sensitive takes some extra work, but it’s not a bad challenge if you’re up for it. 7. Think about your tree. We have an artificial tree. Not as pretty as a real tree, but we’ve had it for a number of years now and intend to keep on using it for many more. My mother has had the same artificial tree as far back as I can remember, and it’s still going strong. If you go artificial, that’s the thing to remember, to commit to keeping it a long time. Don’t just throw it out because you want a real tree from then on. Find someone who does want it if you’re done with it. If you go for a real tree, make sure it was sustainably farmed. A good tree farm replants every year. Don’t flock your real tree, as that makes it unrecycleable. Do make sure that your real tree gets recycled in whatever way is available in your local area. Many communities have places where you can drop off your real trees at the end of the season. 8. Remember your reason for the season. Whatever holiday you’re celebrating, whatever the reason, keep it in mind as you prepare for it. There’s no religion anywhere that demands the consumer frenzy that has become so common at this time of year. Do you have any special ways you limit your family’s impact at this time of year? Published by Stephanie, in Going Green. 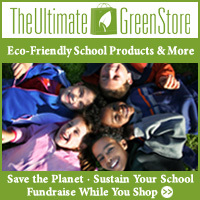 Tagged with christmas, environmental impact, gifts, holidays, shopping.